a new Global Setup flag set to "Y." 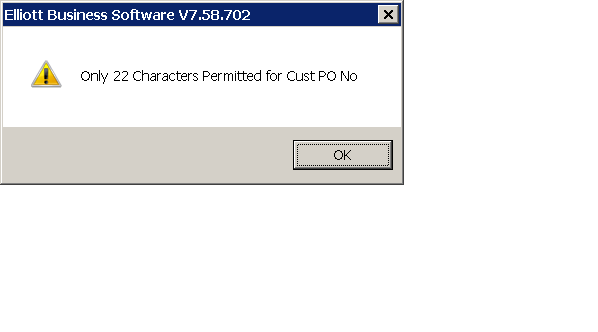 To use this new feature, the following field in Global Setup/cop-Func/order Header screen must be set to "Y" or "A." 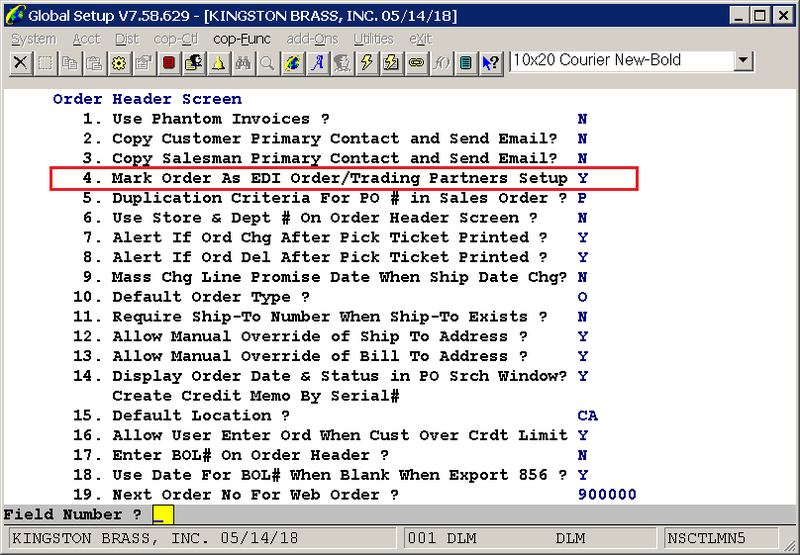 Specific customers or customer types can be set up in the EDI Trading Partners Setup, or specific customers can be set up with field "7. 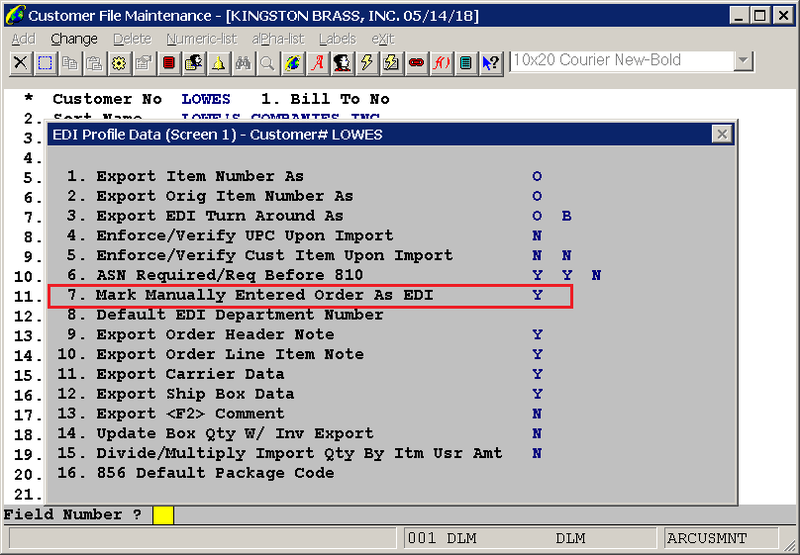 Mark Manually Entered Order As EDI" set to "Y" in AR/Maintenance/Customer, then function EDI Profile Maintenance. After the customer is set up with either the Global Setup or EDI maintenance field 7, the customer EDI maintenance field "82. 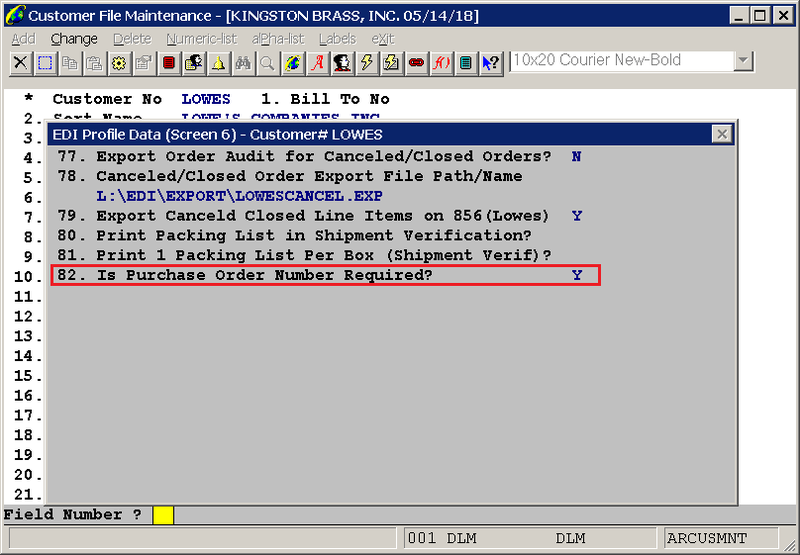 Is Purchase Order Number Required?" 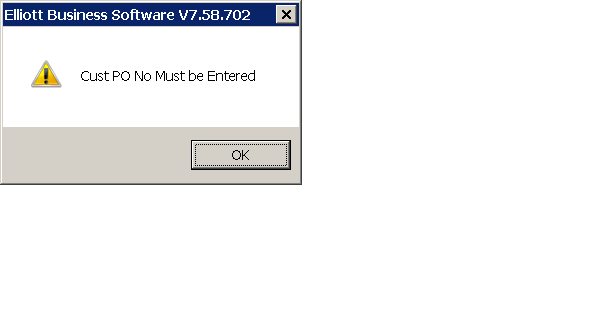 must be set to "Y." 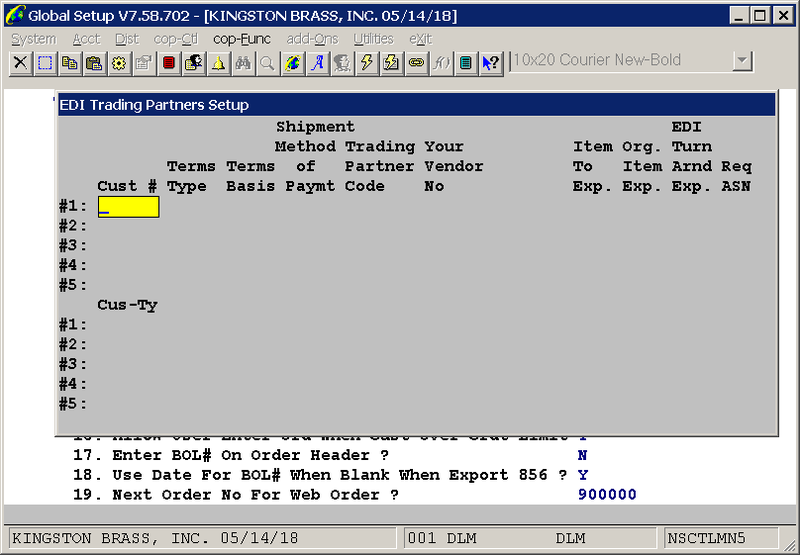 The PO number validation will occur in Order Entry, Copy Order, and Sales Desk functions. 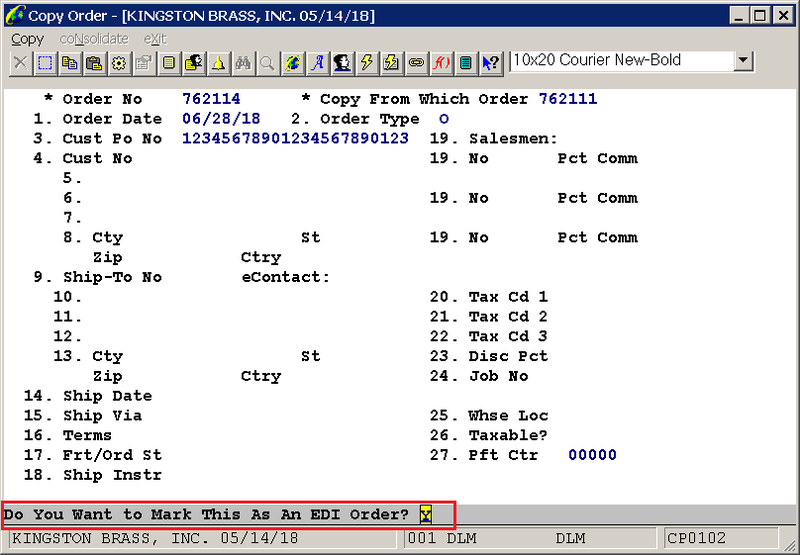 If the order is marked as an EDI order and all the above setup has occurred, the programs will validate to ensure that there is a value in the Cust PO No field, and that the data length is 22 or fewer positions.